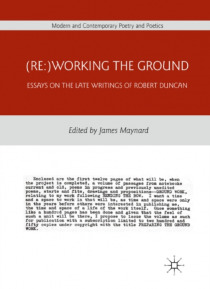 This collection of essays focuses on the remarkable late writings of Robert Duncan. Although praised by reviewers, Duncan's last two books of poetry have yet to receive the critical attention they merit. Written by a cast of emerging and established scholars, these essays bring together a diverse set of approaches to reading Duncan's writing.